Do you remember the character Ryan Evans in the hit Disney romantic-comedy film series High School Musical? Since coming on the scene in 2004’s Halloweentown High, Lucas Grabeel quickly established himself as an A-list young actor of the 2000s. Apart from his work as an actor, he has put on other hats as a producer, director, singer, and songwriter. Grabeel is known for his involvement in movies and series like High School Musical, Smallville, Switched at Birth, and Family Guy. As Lucas continues to grow his portfolio within the industry, fans are wanting to know more about his life. Lucas Stephen Grabeel is a Missouri boy, born on September 23, 1984, in Springfield to Stephen and Jean Grabeel. He attended Logan-Rogersville Elementary and Middle School, subsequently transferring to Kickapoo High School in his native Springfield. It was during this period of his life that Lucas found joy in music and acting. He was active in Church in his growing years, belonging to children and youth groups and playing the drums for his church choir. He also formed an all-male acapella group during his time at Kickapoo. His first project as an actor on the big screen came with the successful Halloweentown series, starting in 2004. He starred as Ethan the Warlock in the third installment Halloweentown High and reprised the role in the fourth and final installment of the series. In 2005, he made his first television appearance playing a guest role as Jason Matheny in an episode of Boston Legal. The 2000s saw Lucas Grabeel make guest appearances on many other series including Smallville, Veronica Mars, I Kissed A Vampire, Glenn Martin DDS, and ‘Til Death. His biggest showing yet came with High School Musical in 2006 when he was cast in the role of Ryan Evans, fraternal twin brother to Ashley Tisdale‘s character, Sharpay Evans. He would continue to play the character in the sequels High School Musical 2, and High School Musical 3: Senior Year. Grabeel appeared on this film series with other stars like Vanessa Hudgens, Zac Efron, and Corbin Bleu. He was also involved in penning a few original songs for the franchise including “I Want It All”. Grabeel’s singing and songwriting efforts during this time also saw two of his singles make it to the Billboard Hot 100, becoming the first artist to debut two new single entries on the chart in one week. Apart from his TV appearances, Lucas Grabeel was involved in a slew of other movies in the 2000s. Some of his notable films include Alice Upside Down (2007); At Jesus’ Side (2008); Lock and Roll Forever (2008); College Road Trip (2008); and The Adventures of Food Boy (2008), among others. In 2009, Lucas appeared with the legendary David Hasselhoff on the movie Dancing Ninja. His longest project came in 2011 when he joined the cast of ABC Family’s drama Switched at Birth. It premiered on June 6, 2011, and aired for 5 seasons, culminating in 2017. Lucas portrayed the character Tobias Kennish in all 103 episodes of the series. Following Switched at Birth, Lucas Grabeel has made other television appearances on Spirit Riding Free as Julian Prescott and Pinky Malinky as Pinky Malinky/Andrew. The actor has never been confirmed as a homosexual, neither has he said anything to confirm or diffuse the rumors. 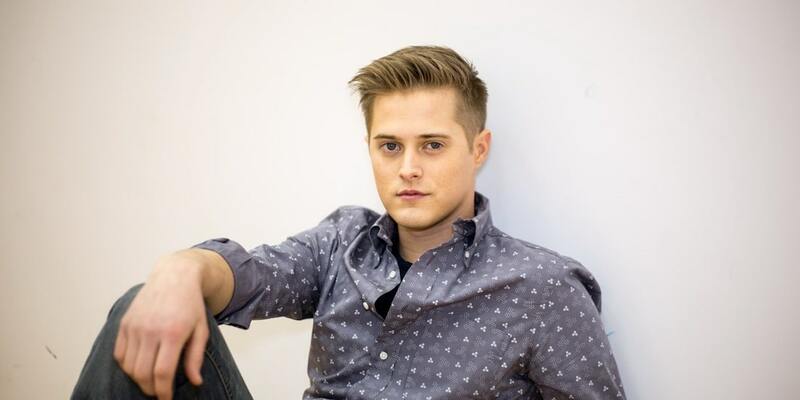 But many who have been fans of Grabeel since the beginning believe that he is a closeted gay. There are lots of reasons for this assumption. First is the fact that based on physical looks, Lucas looks like the stereotypical gay man, especially in the High School Musical films and tour. His looks, mannerisms, demeanor, dress sense of characters, including the way they spoke all allude to this fact. In fact, the director for High School Musical originally intended Lucas’ character Ryan Evans to be gay and proposed the idea but they shot it down. Grabeel stoked the fire further in 2008 when he appeared in the movie Milk based on the life of Harvey Milk, the gay rights activist. 1. During his middle school and high school days, Lucas played the drums at a local church and also established an all-male acapella singing group called “No Treble.” He also played the guitar and the accordion. 2. Apart from his songs for the High School Musical movies, Lucas Grabeel has also written other songs. Among other songs, he wrote the track “You Know I Will” as part of the soundtrack for Disney’s 2006 animated movie The Fox and the Hound 2. 3. Lucas’ High School musical character, Ryan Evans was originally meant to be black which saw Grabeel originally audition for the role of Troy Bolton. 4. He eventually got the role of Ryan Evans after the characters of Ryan and Sharpay were changed to Caucasian and he did a joint audition with Ashley Tisdale. 5. During the filming of High School Musical, Lucas was suffering from a knee problem and had to wear knee braces under his trousers during the shooting. 6. After his time on the set of Halloweentown High, the actor had to go back to his day time job at Blockbuster because he hadn’t made much money from the movie. 7. He also went back to being broke after the filming of High School Musical due to his inability to book another acting gig right away.